This book will give your daily prayer the tone you yearn for during the solemn and festive seasons of the church's year. 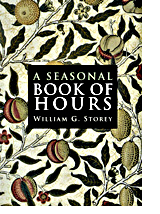 Like its predecessor, this seasonal book combines prayers from the Liturgy of the Hours and from the tradition's most eloquent authors to provide a simple and graceful order of prayer appropriate for individuals or groups. This is an important new resource for those who wish to pray in the rhythm of the church's year of grace.